There are a variety of third-party products you can integrate with Codeship Basic and Codeship Pro to improve your CI/CD pipeline. Brakeman Pro, a service for automatically testing and reporting on your Rails application’s security vulnerabilities, is one such integration opportunity. We’ll walk through the setup instructions, but of course, Brakeman Pro’s documentation does a great job of providing more information. We’ll cover Codeship Pro first. To begin, you’ll need to add your BRAKEMAN_PRO_USER and BRAKEMAN_PRO_PASSWORD credentials to your encrypted environment variables in your codeship-services.yml file. --exit-on-warn: Causes the build to fail if any warnings are found. Important! --quiet: Removes extraneous output. If –quiet is too quiet, –no-report-progress is recommended instead. –-f plain: Generates a nice, colored text report. Moving on to Codeship Basic, you’ll need to add your BRAKEMAN_PRO_USER and BRAKEMAN_PRO_PASSWORD credentials to your environment variables. You can do this by navigating to Project Settings and then clicking the Environment tab. --f plain: Generates a nice, colored text report. Note that if you are using parallel pipelines then you likely only want to add this command to a single pipeline, rather than multiple pipelines. To include automatic testing and reporting for your Rails application, consider integrating Brakeman Pro with Codeship. 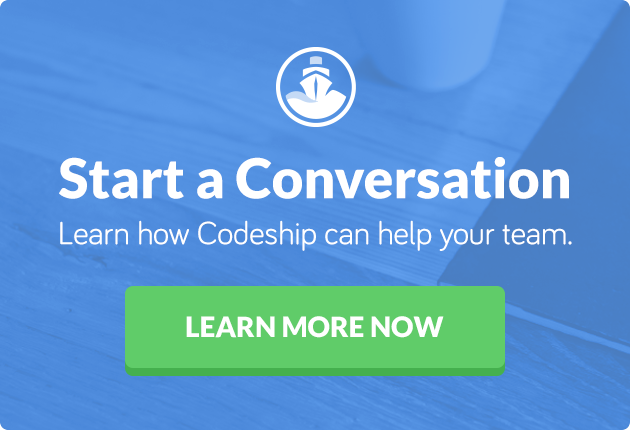 Interested in other third-party integrations for Codeship? We’ve got you covered with our integrations portal right here.